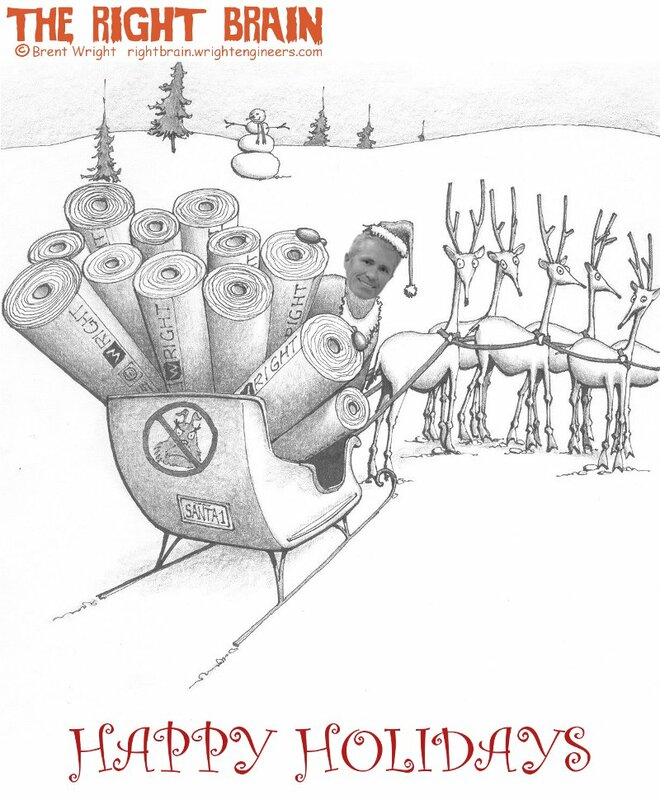 This is similar to cartoons I've done every year since December 1998 for the Christmas cards we mail to clients. They always include pot-bellied elves, reindeer, and my face as Santa or an elf. Now we mail out happy New Year cards instead, so the Christmas cartoon goes in our December e-News.